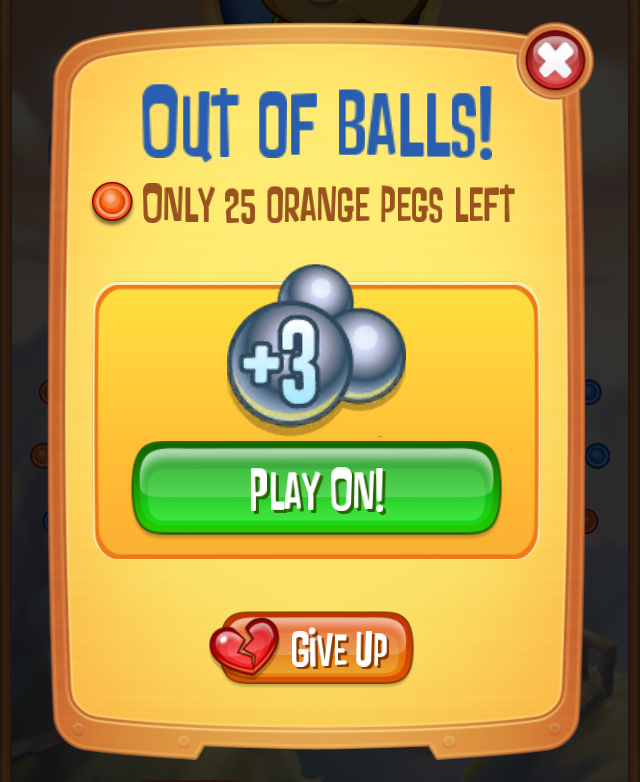 When offering you more moves, Peggle Blast does not make it clear you are about to initiate a purchase. A simple choice: Play On or Give Up. Missing is the price tag that makes it clear that clicking Play On means spending money. 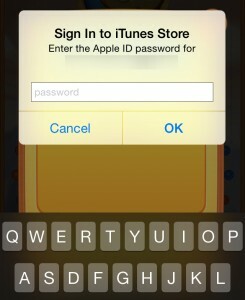 After clicking Play On, the player is asked for their password. Unless they saw the momentary switch in the previous screen to “Purchasing” while waiting to connect to the network, it may be particularly confusing why the game is asking for their password. Only after signing in is the choice presented. Do you want to buy one Extra Balls for $0.99? 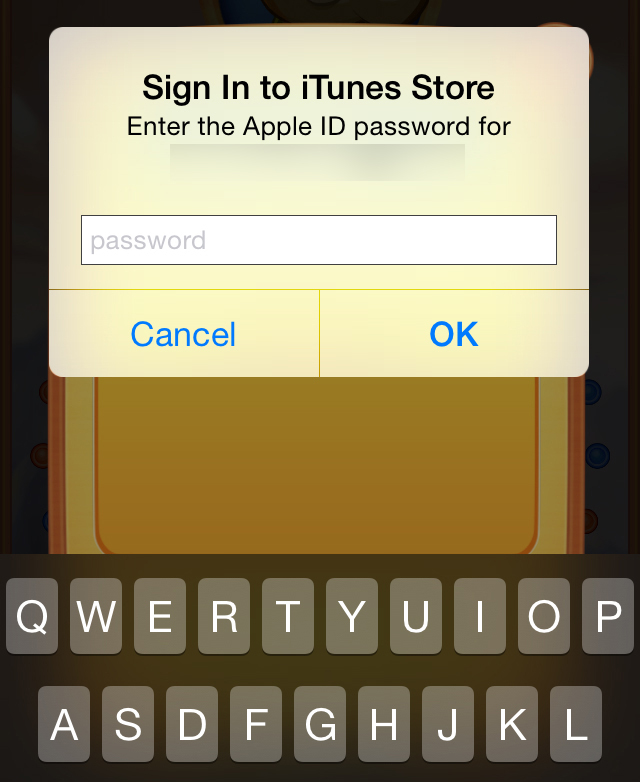 The player has clicked a button, entered a password and only now is it clear that they are making a purchase. 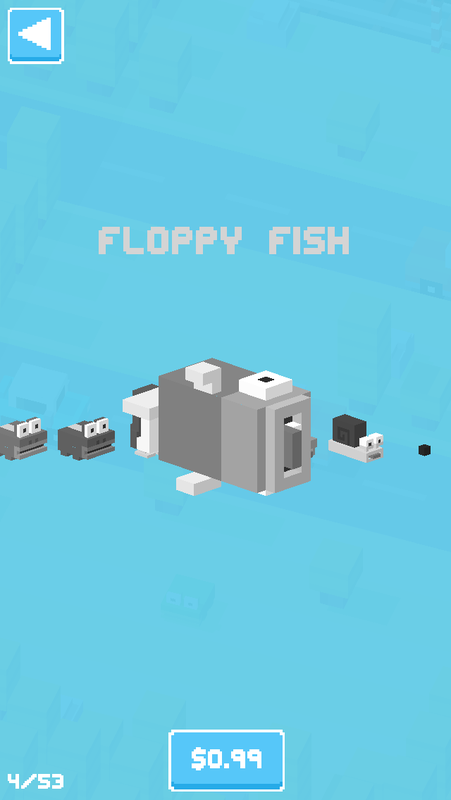 Contrast this to the straightforward presentation of character purchasing in Crossy Road. 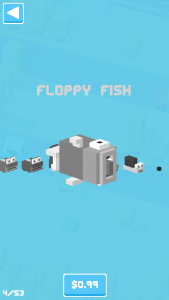 Do you want to play as Floppy Fish? If so, it will cost $0.99. 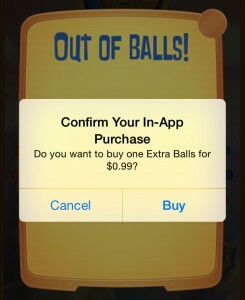 It is clear and unequivocal that the player is initiating a purchase. This feature is not unique to Peggle Blast. It is a pattern that has bothered me in any number of free-to-play games. For all I know this feature has been thoroughly a/b tested and the data proves not showing a price on these button results in more revenue. But even as a monetization specialist, I cannot shake the feeling that this is a disrespectful implementation. I wrote the article and posted it up online on 12/10 after noticing this patter earlier in the week. Even this morning I was encountering the flow where no prices were showing on buttons. On the afternoon of 12/11 I went in to play and noticed that prices were starting to show up on the end of level buttons. I checked the iOS store and the app has not been updated. My guess is that either this is a server side configurable variable that was changed OR this is something that is actively being a/b tested.